POW/MIA Mini Flags make a perfect way to honor the American soldiers who are missing in action or held as prisoners of war. 100% made in USA, these flags are available in various models like auto flags and event flags. 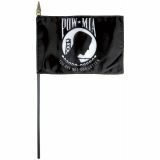 Show your support to the valiant heroes with these finely crafted POW/MIA Mini Flags that are available in various material choices including cotton, rayon and polyester among others. 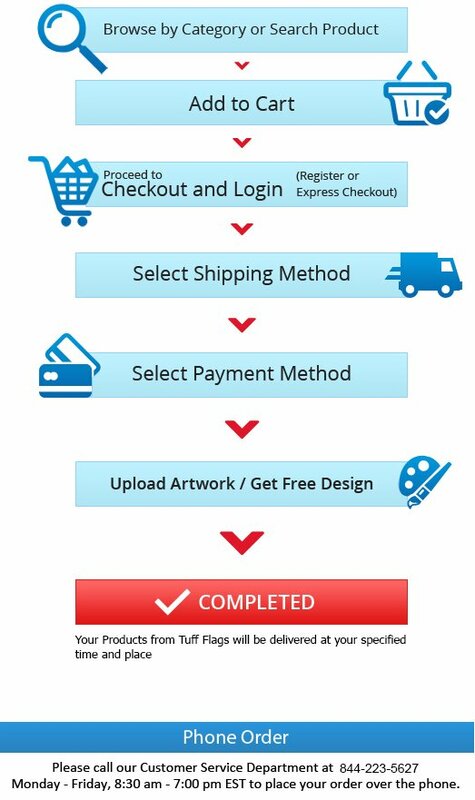 Shop now and avail the advantage of the best prices, quick shipping and much more! 100% customer satisfaction guaranteed! 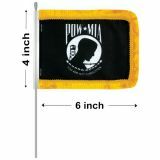 POW/MIA Mini Flags from Tuff Flags are well suited for government buildings, parades, events and for automobiles. Show your support and love to this special group of heroes with these exquisite mini flags that are offered in both fringed and unfringed models. Simply roll down car window, clip onto top of glass and roll up to put your national pride on a wide display. Made of top quality material, these flags will highlight your American pride in parades and events and will make great handouts during occasions like Armed Forces Day, Memorial Day, Flag Day,Independence Day and National POW/MIA Recognition Day among others. 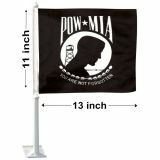 Browse our collection of POW/MIA Mini Flags to pick up a model that suits your needs. 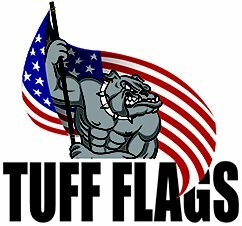 If you find it a bit overwhelming, just give us a call at our toll free number (888) 287-3524 or email at customercare@tuffflags.com and leave the rest to us.